The park is located three miles south of the town of Mendocino on Highway 1. The highway runs through the park separating the campground and the Fern Canyon trail head to the east and the beach and parking lot to the west. 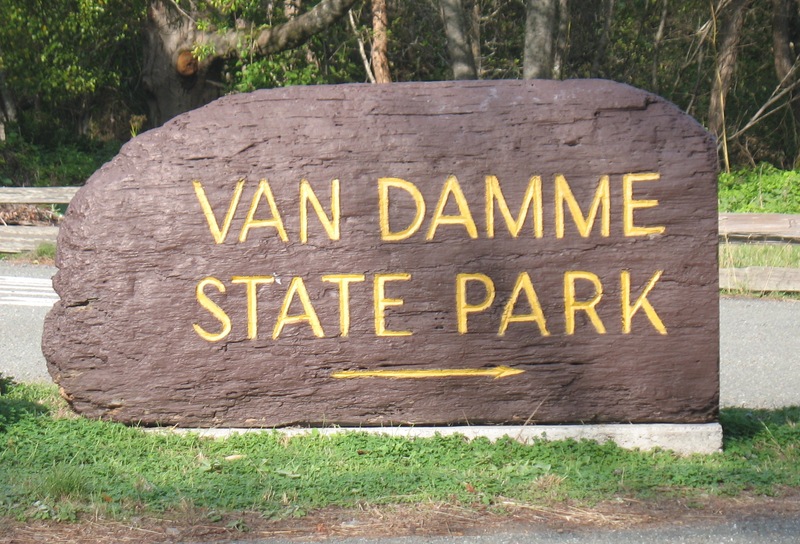 Van Damme sites 1-13 are currently open to camping on a first come first serve basis. Starting Jan 1, 2019 sites 1-13 will be on reservations year round. Reservations can be made through reservecalifornia.com or by calling 1-800-444-7275. 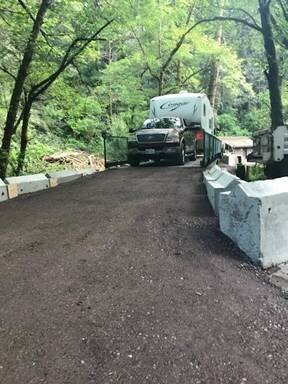 There has been a temporary single lane bridge installed to allow for access to campsites on the east side of Little River. The temporary bridge is much narrower than the original bridge and measuring 10 feet in width and 53 feet in length. The bridge configuration does not allow for a straight on and straight off approach or exit. Additionally, it will be necessary for all trailers entering the camp sites east of Little River to make a right turn off of the bridge followed by a U-turn in the designated turnaround area to access the group camp, upper sites 31-74 and in some cases sites 19 and 20. Similar maneuvering will be necessary in order to exit the camp sites to cross the bridge. Signage is in place to assist motorists. If you are traveling with a large trailer it is recommended that upon your arrival at the park that you park in the Beach Parking Lot and walk into the park to look at the bridge. If you would like to stay in the Van Damme Beach Lot we will accommodate you there. We are including photos of the bridge and its configuration to help you make an informed decision. If you would like to speak to someone at our District Office you can call 707 937-5804 M-F, 8am to 4pm. Please use caution when crossing the bridge to avoid damage to your vehicle. Service Reduction InformationUntil further notice Van Damme State Park will contain areas where services are reduced or eliminated. • All features of the parks are protected by state law and may not be disturbed or collected. • Anglers over the age of 16 must carry a valid fishing license. • Do not gather dead or downed wood. 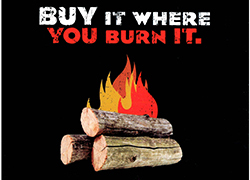 Purchase firewood at campground. • Driving off designated roads is not permitted. • State law requires that all bicycle riders under the age of 18 wear bicycle helmets. • Dogs are not allowed on trails or dirt roads or in hike-in sites. They should be on-leash elsewhere and in a tent or vehicle at night. • Along the coast, stay back from bluff edges. Beware of rogue waves that can sweep you out to sea. The water is cold, swift, and unforgiving. Van Damme is a great place for hiking, biking, birding, jogging, kayaking, botanizing, abalone fishing, and watching salmon spawn. Its trails including a 0.25 mile-long wheelchair-accessible boardwalk to view stunted trees in a pygmy forest. Its camping facilities include nine hike-in sites in a beautiful redwood forest. The 1930s-era visitor center was once a recreation hall for the Civilian Conservation Corps. If you have an hour, head out Airport Road to the pygmy forest. It’s weird, wonderful and well explained with interpretive signs. A good place for bird watching too, with pileated woodpeckers and more. If you have half a day, start at Airport Road and hike from the pygmy forest down into Fern Canyon and back again—a four-mile loop that allows you the option of exploring both Fern Canyon Trail and Old Logging Road Trail. Starting in an open area with small trees, you descend into the tall trees and lush understory along the Little River. A good way to sample many of the park’s habitats in a short amount of time. If you have a full day, hike the Fern Canyon Scenic Trail and the pygmy forest loop starting from the end of the drive-in campground—an 8- or 9-mile trek (depending on which route you choose). Then, as the sun sets, rest your weary bones at Van Damme Beach. Van Damme is a day-hiker’s paradise, with dramatic vistas and discoveries every step of the way. Plan your own hike, or pick one from the suggestions below. 1.4 miles to the pygmy forest on Old Logging Road Trail. 0.25 miles from Airport Drive parking area around the wheelchair-accessible pygmy forest boardwalk loop. Located off Airport Road. Check out the bonsai trees in bog-like conditions on soils so old they are nearly bereft of nutrients. Wheelchair accessible. 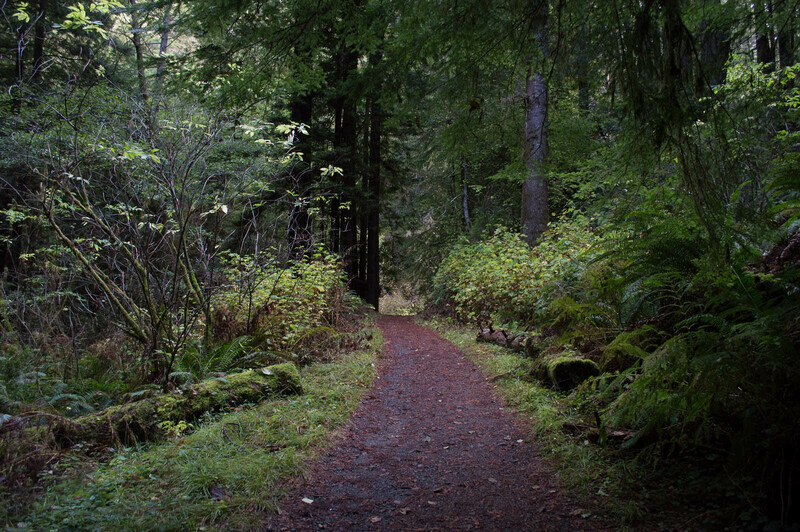 Sample the pygmy forest, the upland forest, and the redwoods of Fern Canyon, in one easy loop. Drive out Airport Road. After walking 0.25 miles around the pygmy forest boardwalk loop, head down the fire road for 0.2 miles to a fork in the trail. Take Old Logging Road Trail (the left fork) downhill for 1.2 miles to a junction with the Fern Canyon Trail. There’s a good picnic site there. Then turn right and uphill onto the single-track portion of Fern Canyon Trail. In 2.3 miles, after following the Little River through the heart of a lushly vegetated canyon, you’ll switchback up through a drier forest. In another 0.2 miles on the fire road you came in on, you’ll be back at your car. Check out the environmental camps and some of the finest parts of Fern Canyon on an easy (stroller- and bike-friendly) trail along Little River. Leave your car at the end of the main road, just east of the campground. With shafts of golden light piercing through tall trees, walk for 2.5 miles on a gentle, packed-earth trail along the Little River. You’ll pass alders, thimbleberries, elderberries, tall coast redwoods, mighty Douglas-firs and whole hillsides covered with sword ferns. Wooden bridges arch gracefully over the river numerous times. In 1.75 miles you’ll reach a second-growth redwood forest with 9 "environmental” (primitive) campsites. After a total of 2.5 miles, find a picnic site at a trail junction. Turn around there, return the way you came, and give all that gorgeous scenery a second look. A long, lovely journey through many of the park’s most interesting places. Leave your car at the end of the main road, just east of the campground, follow the directions for the hike above until you get to the trail junction at 2.5 miles. From there, head uphill for 2.5 miles to the pygmy forest. Observe the strange effects of nutrient-poor soil on the plants along the 0.25-mile-long loop through the pygmy forest. Then head back downhill, taking Old Logging Road Trail at the fork. When you reach the Little River again, it’s a glistening, green 2.5 miles back to your car. Currently, campsites 7 and 10 are paved, have wheelchair-accessible tables, and are at least usable. A number of other sites are fairly level with hard dirt surfaces and may be usable in dry weather. A generally accessible combination toilet room/shower is located near campsite 11. Toilet permits front transfers, and assistance may be needed to reach shower controls from bench. Designated accessible parking is adjacent to the building. 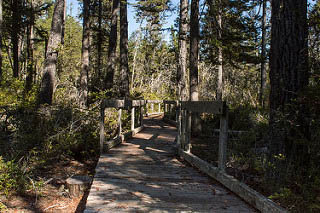 Pygmy forest has a self-guided nature boardwalk. 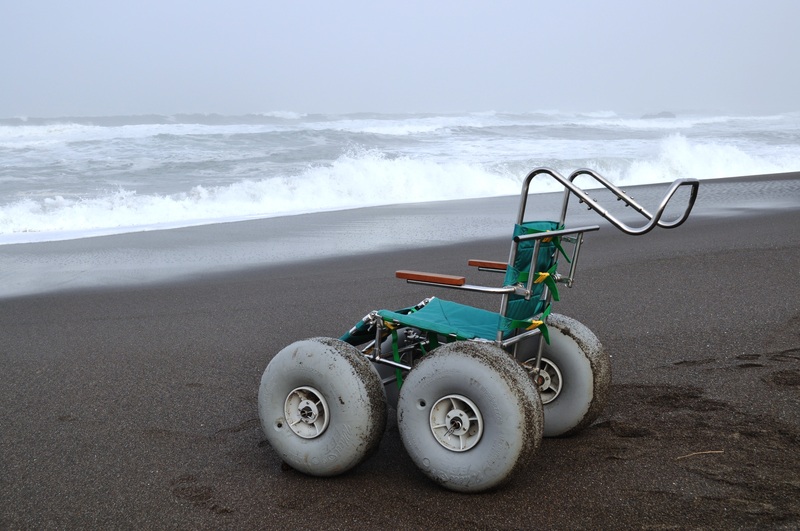 A beach wheelchair is available upon request for use at California State Park beaches in the Mendocino coast area. Call (707) 937-5721 at least seven days in advance. Pygmy forest: Located off Airport Road, this loop trail is generally accessible. Interpretive exhibits describing the forest features are accessible along the approximate 300-yard loop. A ramp from the far end of the loop leads to Old Logging Road Trail, which may be accessible in dry weather for a short distance. A paved parking lot with 8 spaces includes one van-accessible space. Accessibility in state parks is continually improving. See updates by following the Accessible Features link at the top right of this page. Use bicycles on designated paved roads, dirt roads, and trails, such as the 2.5-mile Fern Canyon Scenic Trail, the 1.2-mile Old Logging Road Trail, and the 0.2 mile-long trail that leads from Old Logging Road to the Airport Road parking area. Bicycles are not allowed in other areas, including part of the Fern Canyon Trail and the pygmy forest self-guided trail. Observe posted signage. Van Damme has more than 65 drive-in campsites: 63 standard, 5 tent only, and 1 for groups. Spring through fall, reservations are strongly recommended. Reservations may be made up to six months in advance and are available only by calling 1-800-444-7275 or by clicking the reservations link at the top right of this page. 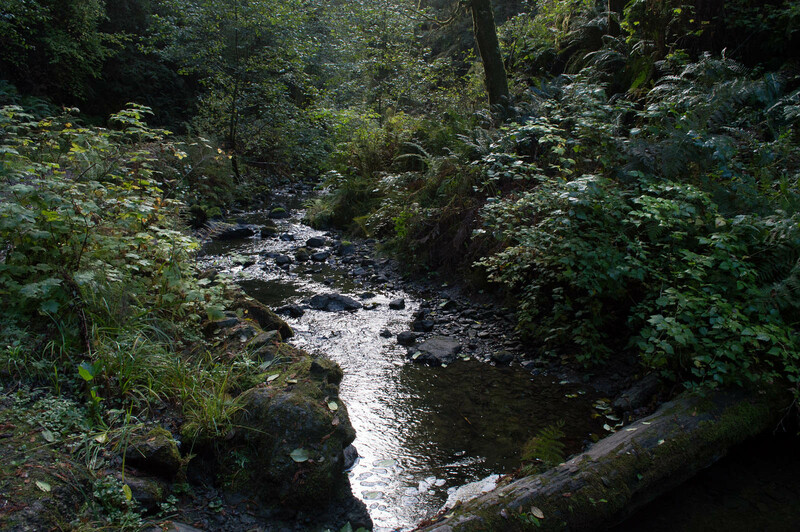 The park has 9 first-come, first-served “environmental” (primitive) sites in a redwood forest along the Fern Canyon Scenic Trail, 1.75 miles2 from the trailhead near the end of the campground. Summer interpretive activities include hikes, campfire programs, and junior-ranger programs. Times and locations are posted in the park. The hikes and campfire programs are suitable for all ages. The junior ranger programs are for visitors age 7 to 12. If you come in the off-season, you and your kids can download and work your way through the state parks' Adventure Guide together. Before heading to the park, explore the Redwoods Learning Center set up by Save the Redwoods League. It offers fun, redwood-themed activities, classroom tools, and ways to get involved in redwood protection. Redwoods bingo, anyone? Van Damme Beach is popular with kayakers and abalone divers. In the summer, kayak tours exploring the tide pools and sea caves nearby are offered through a concessionaire at the Van Damme Beach parking lot. The dive site has shallow areas, offering beginners gradual entry from the shore. (Abalone divers need a valid California fishing license and report card.) Remember that the beauty of the Mendocino coast is tempered by its unpredictability and danger. Dive only in designated areas, and heed the warnings on the parks map. Jug Handle State Natural Reserve and Van Damme State Park At Jughandle State Natural Reserve, some lands are preserved not only for their scenic beauty or wilderness qualities, but are also protected because they are ecologically unique, such as the pygmy forest. The sequence of terraces provides a 500,000-year-long timeline of soil and plant community development that shows the interplay of biology and geology like nowhere else.